Augsburg - FC Augsburg and Borussia Mönchengladbach get Matchday 7 underway on Friday evening (20:30 CEST), respectively seeking to add victory number four to a solid season start . Hosts Augsburg, who cruised through to the third round of the DFB Cup at Division Three outfit , are keen to follow up on that by getting back to winning ways in the Bundesliga as well. Chasing a record fourth straight win in the top flight at Hannover last weekend, Markus Weinzierl's side went in front early in the second half courtesy of a Paul Verhaegh penalty, but the hosts turned things around and decided the contest in their favour with a late spot-kick of their own from Szabolcs Huszti. "It's going to be a close one, for sure, but after letting points slip at Hannover we want to take something concrete from this one again," Weinzierl stressed. Acknowledging the visitors have attacking talents in their ranks "who can decide a game on their own," the 38-year-old head coach knows that for his own charges to prevail, "we need to pressure them man-on-man and impose ourselves on the game." To that end, he has a full-strength squad at his disposal apart from long-term injury case Raul Bobadilla, a former Gladbach employee himself. 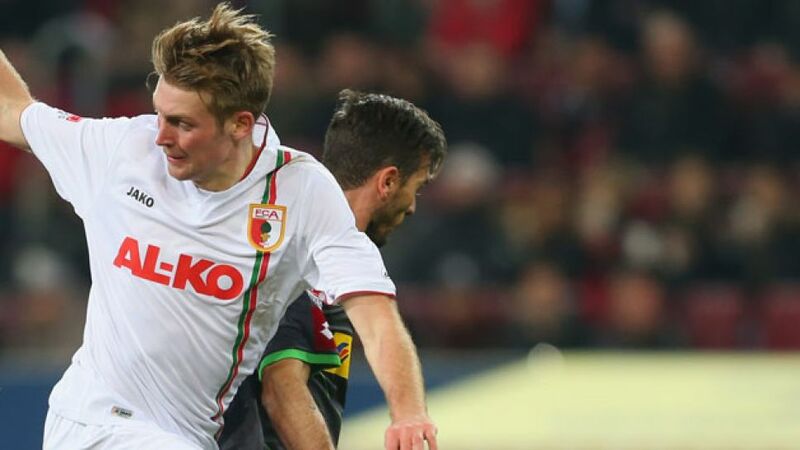 While Augsburg have won five of their last six home games, stretching back to the end of 2012/13, they have also managed to pick up points on the road in the current campaign, in the form of a 1-0 win at Nürnberg on Matchday 4. Their guests on Friday, by contrast, have lost all three away games to date, although that said, they performed fairly well, beyond the result, in difficult outings at FC Bayern, Leverkusen and Hoffenheim. At home, the Foals have positively flourished, racking up eleven goals in seeing off Hannover, Bremen and, last time out, Braunschweig. Summer signing Max Kruse, who hit the net himself and provided a couple of assists in the latter encounter, says the players are fully aware that they need to find a greater level of consistency away from home above all, but also more generally. In fact, it is now over a year and a half since Gladbach won two games straight in the league - 3-0 against Schalke and 2-1 at Kaiserslautern back in February 2012. Midfielder Raffael, another close-season newcomer from FC Dynamo Kyiv via Schalke on loan, agrees it is high time "we won on the road for a change," and Borussia will be hoping the 28-year-old Brazilian playmaker can pick up at Augsburg where he left off in an imperious performance against Braunschweig. Head coach Lucien Favre will once again deploy Oscar Wendt at left back in place of injured skipper Filip Daems, with Havard Nordtveit replacing the suspended Granit Xhaka in the middle of the park. With Gladbach's lack of success away from their home patch extending to an early DFB Cup penalty shoot-out exit at third-flight Darmstadt last month, they have had all week to prepare for this one. "It won't be easy," Norway international Nordtveit summarised, "but in principle we're capable of beating anybody."